Bartleby & Co. – Bartleby & Co.
Bartleby & Co. is an artist project founded in 1995 by Thorsten Baensch. Bartleby is celebrating the art of copying and collaboration and was created to give to every published project beauty, care, originality, respect, spirit, love and nonetheless uniqueness through very close discussions with the various co-workers. Bartleby & Co. works with artists, artisans, authors, poets, scientists, thinkers, translators and other experts of all kinds. Bartleby & Co.’s editions are both: playful and serious; complex and simple; poetic and cryptic; convivial and hermetic, often multilingual and mostly combining innovative materials with mixed printing and binding techniques. Inspired by Herman Melville’s character the scrivener Bartleby who works as a copyist and who repeatedly says I would prefer not to, Thorsten Baensch’s editions are an homage to that profoundly human need for resistance and they are an artists’ statement to the absurdity of our existence. Born in Heide, Germany, in 1964, has lived in Brussels since 1991. He is an artist and publisher, and has worked as a bookseller and book production manager in Cologne, Hamburg, Munich and New York. He studied painting in Brussels and Milan. 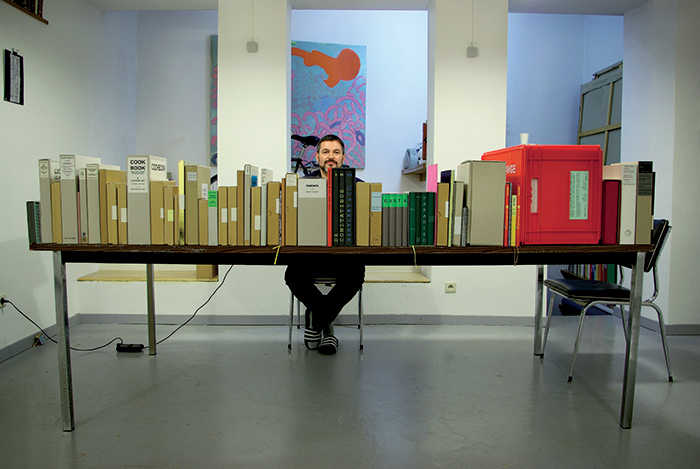 In 1995 he established Bartleby & Co., which creates and publishes artists books and editions. His limited-edition books are in the collections of many prestigious institutions.